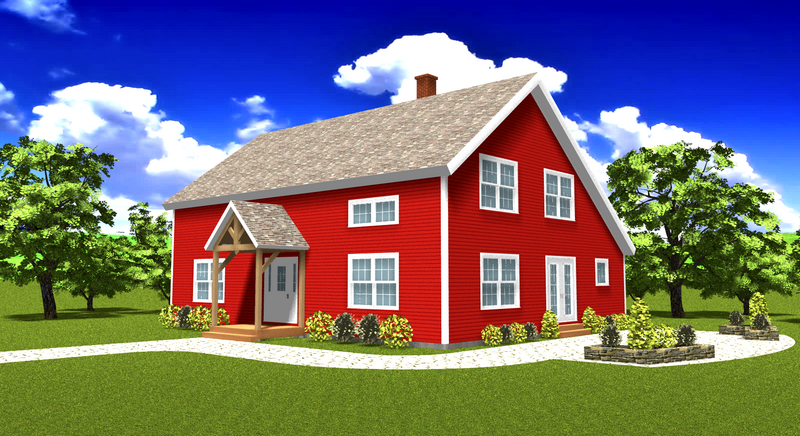 This colonial saltbox design begins with a covered entry way which leads into the cathedral main foyer. 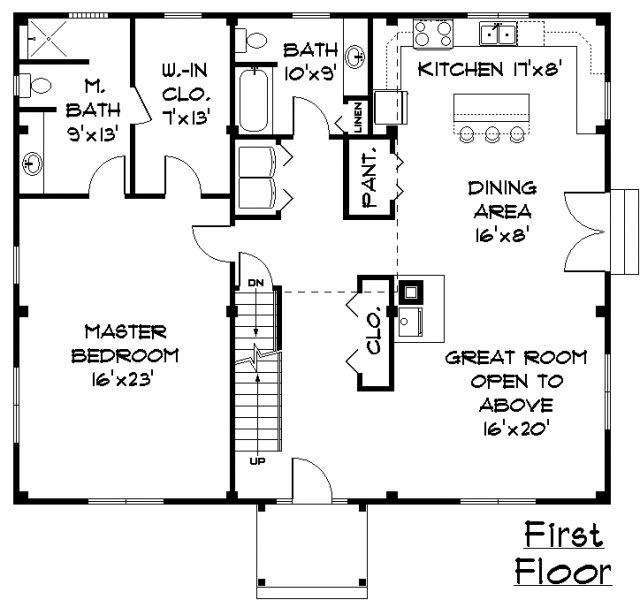 The open 1st floor plan features a large great room, dining and kitchen area with a service island. The first floor master suite includes a large bath with a walk-in shower as well as a walk-in closet. 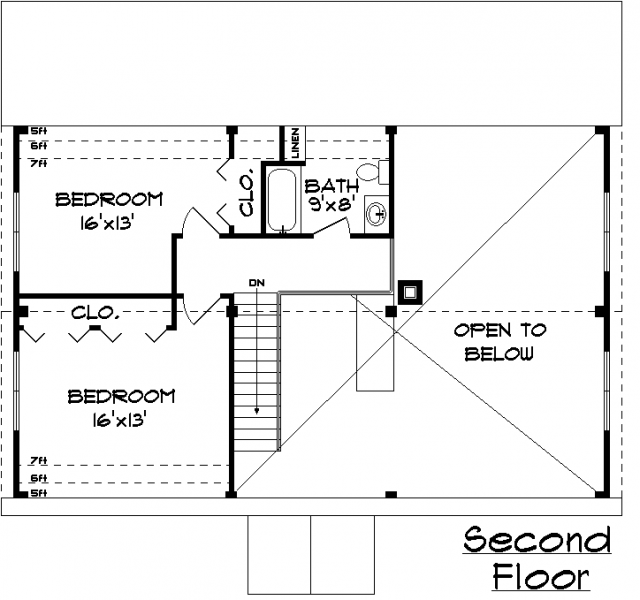 A 2nd full bath and laundry area complete the 1st floor plan. The stairway leads up to two 2nd floor bedrooms, a 3rd full bath and small loft overlooking the 1st floor. Timber framing lends itself easily to this historic Salthouse.